Thoroughbred racing leaders launch an advocacy website calling for a ban on race-day medications. The Jockey Club and the Thoroughbred Owners and Breeders Association (TOBA) launch an advocacy website — www.cleanhorseracing.org — and its focus issue is the hotly debated usage of race-day medications, in particular Lasix. Perhaps this new advocacy site aimed at ridding horse racing of race-day medications such as Lasix means to demonstrate that the industry is seriously determined to begin cleaning house. Whatever the motivation, it is good for the horses and racing, and a welcome start by us. Of course, the idea of banning Lasix has its opposition. Rick Hiles, the Kentucky HBPA [Horsemen’s Benevolence & Protective Association] president, said he hadn’t seen the opposition’s website yet but questioned why people who want the drug banned on race day still use it for their horses. The reason why people continue to use Lasix on a daily basis in horse racing is simple, because they perceive it gives them an edge. 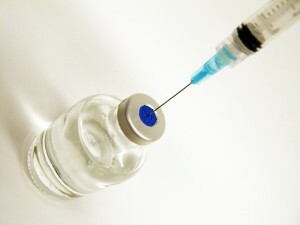 Even horse racing nations where the use of Lasix is banned, typically administer the drug when their horses race in the US, such as in the Breeders’ Cup. The common perception is that doing so ensures they are all “competing on a level playing field”. There are a variety of ways you can support this effort on Clean Horse Racing website’s Take Action page, such as sign a Petition or contact your State Racing Commissioner. We recommend that you do both!